Located in the South-Eastern part of Iceland, a place famous for its scenery of the biggest glacier in Europe, Vatnajökull, and right opposite lava fields, Hotel Klaustur opened its doors in 1993. Our emphasis has always been to provide a warm welcome for our guests, from family travelers to celebrity movie directors and photographers pursuing the magical views of local nature. The hotel was renovated in 2018 and re-opened recently with a unique brand identity – a fusion of modern Icelandic culture and historical heritage of the country. 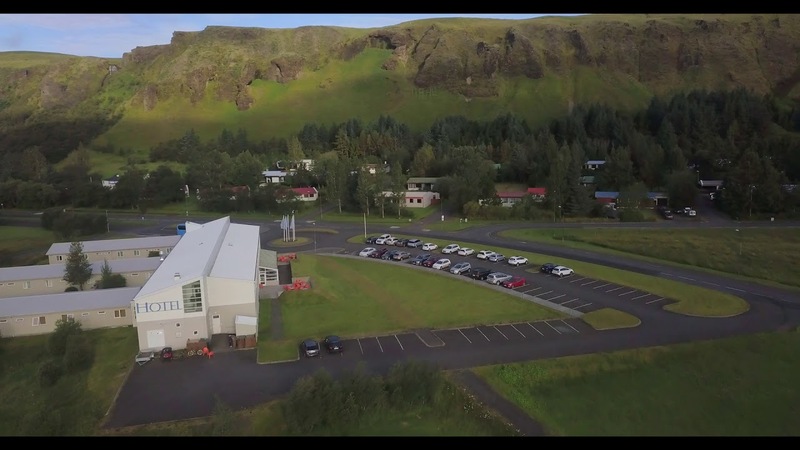 Our hotel acquired the name of its village – Kirkjubæjarklaustur, or “Klaustur” as it is usually referred to by locals, a small village located on the famous Ring Road between the two of Iceland’s most famous glaciers, Vatnajökull and Mýrdalsjökull. Several tourist attractions are situated near the town, including Vatnajökull National Park, the canyon Fjaðrárgljúfur, the Laki craters, the Church floor, the Dwarf Rocks and the Glacier Lagoon. Furthermore, while driving to Klaustur, you can enjoy scenic views of waterfalls such as Seljalandsfoss and Skógarfoss and the black beach Reynisfjara. To learn more about these attractions, please view section “Attractions” here on our website. At that time the sea level was higher, and so waves are thought to have caused the peculiar look of the rocks. According to Icelandic folklore, the cliffs are home to both dwarves and elves, resulting in the site’s name. Today Dverghamrar are a protected national monument and they are located only about 10 kilometers from our hotel. Kirkjubæjarklaustur, or “Klaustur” as it is usually referred to by locals, is a small town in the south of Iceland and is home to about 120 people. The town is located on road no. 1, also known as the Ring Road, and it is the only place between Vík in Mýrdal and Höfn that offers services. Those services include a fuel station, a bank, a post office and a supermarket. The geographical location of Kirkjubæjarklaustur is unique in the way that it sits between two of Iceland’s most famous glaciers, Vatnajökull and Mýrdalsjökull. Several tourist attractions are situated near the town, including Vatnajökull national park, the canyon Fjadrargljufur, the Laki craters, the Church floor, the Dwarf Rocks and the Glacial Lagoon. Furthermore, while making the drive to Klaustur, travellers will pass by stunning sites, such as Seljalandsfoss, Skógarfoss and Reynisfjara. On the journey from Reykjavík to Klaustur there are many beautiful sights to see, such as Seljalandsfoss, Skógarfoss and Eyjafjallajökull. Take a look!